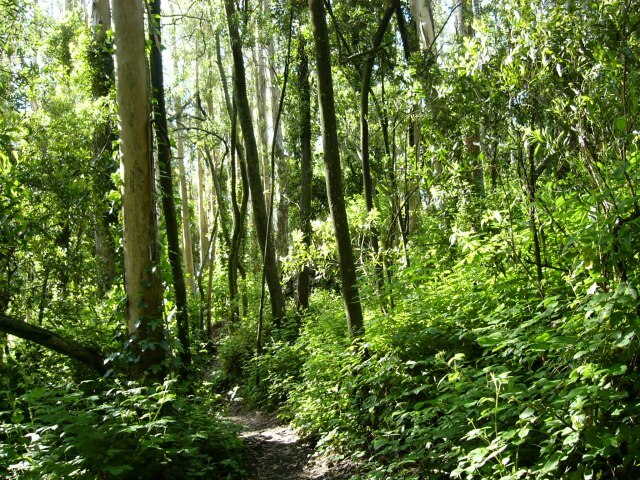 Although they can provide no scientific evidence, native plant advocates claim that the eucalyptus forest is a “biological desert” in which nothing grows and nothing lives. We can see with our own eyes in the Sutro forest that a diverse understory thrives in the eucalyptus forest, but it is more difficult to quantify the biodiversity of wildlife in the forest. For that we turn to scientists. We published some time ago a summary of a research study by Dov Sax (Brown University) in which he compared the species richness (number of species) living in the eucalyptus forest with species richness in native oak woodland in Berkeley, California. He found equal numbers of amphibians, insects, plants in the understory, and birds in the eucalyptus forest compared to oak woodland in the fall and significantly more species of insects in the eucalyptus forest in the spring. Professor Sax also reported similar studies all over the world that reached the same conclusions, i.e., the introduced eucalyptus forest is just as biodiverse as the native forest all over the world. According to the Encyclopedia of Biological Invasions there are about 40 million acres of eucalypts planted in tropical, sub-tropical, and temperate countries. We have had the opportunity to observe them in several counties. Much of Argentina is a treeless grassland prairie, called pampas. They imported eucalyptus to provide their economy with pulp. We observed many acres of densely growing eucalyptus forest throughout Argentina during our visit there. They also seemed to be used on the perimeter of agricultural lands, presumably as windbreaks. We also saw many eucalypts growing in Sicily. We were told by our guides that they were planted by Mussolini in the 1930s as the means of draining swampland to reduce the population of malaria-carrying mosquitoes. 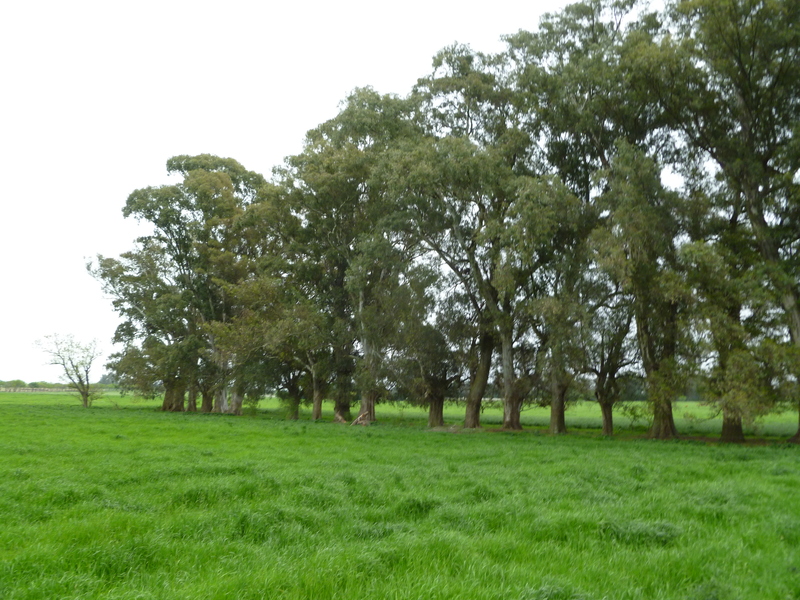 We found more eucalypts in Morocco where they also were being widely used as landscape trees. There seemed to be more diversity of eucalyptus species and they were obviously considered valuable for horticultural purposes. We also saw eucalypts sheltering agricultural crops from the wind. Eucalypts are obviously considered valuable trees in many countries all over the world. We marvel at the hatred they have generated in California. “Contrary to popular belief, many animals, both vertebrates and invertebrates, have adapted to life in the Eucalyptus groves. Moisture from the air condenses on the leaves and the drippage keeps the groves moist and cool even during the dry season. This is a suitable ground habitat for a wide variety of animal life. Amphibians such as arboreal salamander, California slender salamander, ENSATINA, California newt, rough skinned newt, and Pacific tree frog live in the forest, primarily under fallen logs and duff. Amphibians feed on such invertebrates as millipedes, centipedes, sow bugs, COLLENBOLA, spiders and earthworms. 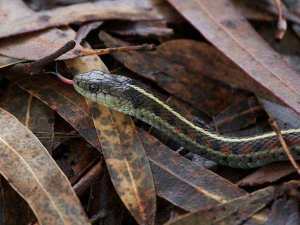 “Several snakes such as the ring-necked snake, rubber boa and sharp tailed snake have adapted to Eucalyptus groves. The ring-necked snake feeds on the California slender salamander, the rubber boa feeds on meadow mice, and the sharp tailed snake feeds strictly on slugs. Other common reptiles include the northern and southern alligator lizards, which live under fallen logs, and the western fence lizard and western skink, which live in the less densely forested groves. “Over 100 species of birds use the trees either briefly or as a permanent habitat. The heavy-use birds feed on seeds by pecking the mature pods on trees or fallen pods; so they must wait for the pods to disintegrate or be crushed by cars. Among the birds that feed on seeds in the trees are: the chestnutback chickadee and the Oregon junco. Examples of birds that feed on ground seeds are the song sparrow, the fox sparrow, the brown towhee, and the mourning dove. Birds that take advantage of the nectar from blossoms either by drinking the nectar or by feeding on the insects that are attracted to the nectar include Allen’s hummingbird, Bullock’s oriole, redwinged blackbird, and blackheaded grosbeak. Birds that use the trees as nest sites include the brown creeper, which makes its nest under peeling shags of bark and feeds on trunk insects and spiders, the robin, the chickadee, the downy woodpecker, and the red shafted flicker. The downy woodpecker and the red shafted flicker peck into the trunk of dead or dying trees to form their nests. When these nests are abandoned, chickadees, Bewick wrens, house wrens and starlings move in. Downy woodpeckers use dead stubs to hammer out a rhythmic pattern to declare their territories. “The red-tailed hawk prefers tall trees for a nesting site. It therefore favors eucalypts over trees such as oak or bay. Great horned owls use nests that have been abandoned by red-tail hawks or they nest on platforms formed between branches from fallen bark. The brown towhee and the golden crowned sparrow are birds that use piles of debris on the ground for shelter during rains. “Several mammals have adapted to Eucalyptus. Deer find concealment in dense groves where there are suckers, coyote brush, and poison oak; moles live in the surface layer of the soil; meadow mice, gophers, and fox squirrels are found in the forest. Update: When we published this article we assumed that the native plant advocate who claimed that Professor Stebbins was dead at the time was correct about that. Since then we have learned that that was inaccurate information. Professor Stebbins died on September 23, 2013, according this obituary in the New York Times. So, the name-calling native plant advocate was fabricating “information” as well as engaging in ad hominem attacks. We are embarrassed that we assumed the native plant advocate was at least factually correct. We saw these same low standards used by native plant advocates at the February 25, 2013 public hearing at UCSF about their plans to destroy the Sutro forest. There were only about 15 speakers in defense of the project, but their comments were devoid of information. One fellow walked to the microphone and said simply, “I hate eucalyptus” and walked away. Another claimed that the Angel Island fire of 2008 was evidence of the flammability of eucalyptus although 80 acres of eucalypts were destroyed over 12 years before that fire. Only 6 acres of eucalypts remain. The grass fire stopped at the edge of that small remaining stand of eucalypts. One wonders where people find the energy to hate anything, let alone a tree. We struggle to understand the motivation of these crusaders against the forest. We believe that the most highly motivated amongst them are earning their living on these projects and are simply defending their economic interests. Nothing else makes sense to us. Thanks so much for this valuable information. I’d like to use it for our battle to save the eucalyptus from being removed from Heritage Tree Ordinance protection in Santa Cruz, CA. May I have your permission? Webmaster: Yes, of course you have my permission. Spread the word! Many of those comments by the native plant activists are silly. I doubt they will be given any credibility when UCSF responds to comments on the DEIR. The UCSF plan does not make that claim that the eucalyptus forest is sterile. If you read the DEIR it found several species in the forest. UCSF does not plan to destroy Sutro Forest. Mt. 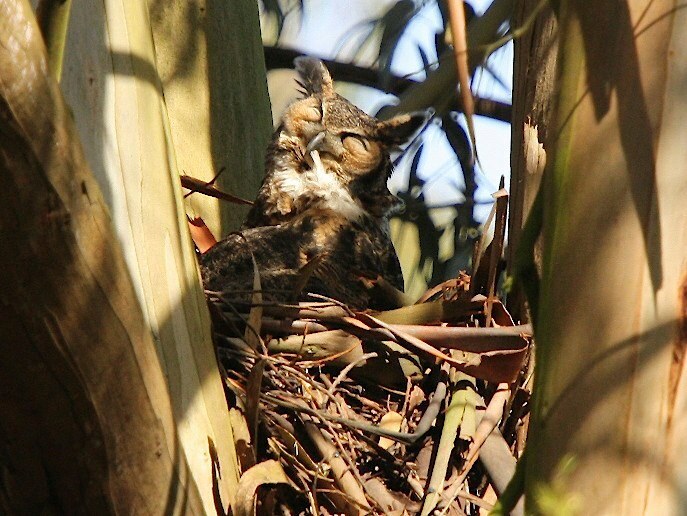 Sutro will remain primarily a eucalyptus forest. Webmaster: The DEIR for the Sutro plan makes the claim that there are few insects in the forest because it is non-native: “Native insect [population] within the Reserve is expected to be low because of the dominance of non-native eucalyptus.” (DEIR, 4.3-5) It provides no evidence of this assumption. We do not consider 15-50 trees per acre with 30-60 foot spacing between trees and no understory except wood chips a forest. You are entitled to your opinion since there is probably no definitive definition of “forest,” but visually I think many people will agree that the result will be a barren, park-like setting with a few trees. Your observation that it is difficult to quantify the biodiversity of wildlife in the forest is correct, even scientists have difficulty. What you see can change from year to year, season to season, and month to month. Replicating scientific studies is difficult. Sax makes some very good observations in that regard. The measurement error can be quite large. There are studies that show more arthropods, more small mammals, and more bird species are found in native versus eucalyptus forests. However, Sax demonstrates that there are several variables that can affect the count. Sax also found that the age of the eucalyptus forest was significant: the older the forest the more species. Except for small mammals Sax found that the fewer number of species in eucalyptus forests compared to native forests was not statistically significant. But Sax also found that while the numbers of species were not significantly different, the kinds of species were different (with overlap). So based on Sax’s findings, UCSF’s plan to introduce other species of trees into Sutro forest should benefit biodiversity. Webmaster: Sax reported finding significantly more arthropods in the eucalyptus forest compared to oak woodland in the spring. UCSF’s plan for tree spacing is based on science not politics. They are following the advice of experts that considers a mature tree’s height, crown spread, and root space and to discourage disease and pest buildup to determine the proper spacing. However, considering Suddjain’s observation, UCSF’s plan for tree spacing will also be better for the birds. Webmaster: Tree spacing is not the only factor in evaluating the cost-benefit to birds of this project. Eliminating 90% of the understory on Mount Sutro is not going to benefit the birds which need that understory for both food and cover. We do not agree that birds will benefit from this project. We will address your claims of scientific basis for the Sutro project in future posts. There is substantial scientific evidence that UCSF’s assumptions about the health of the forest are not correct and we will provide such evidence in future posts. Stay tuned! Thanks for another excellent article, Death of a Million Trees Webmaster! Also, for your well-researched responses to others’ comments. Having come from another part of the US ten years ago, it is hard for me to comprehend the absolute antipathy of native plant enthusiasts to eucalyptus. The vehemence towards one tree species feels the same as discrimination towards any one group of people. Why? Your article helps to clarify the research around biodiversity issues. Thank you for your advocacy for eucalyptus and other “non-native” trees. Destroying trees, any trees, because their ancestors were not here when Christopher Columbus, or some other white man, arrived on the continent is ethnocentrism at its worst. Webmaster: Thanks for your visit and your comment. One of many reasons why nativism doesn’t make sense to many of us is that the definition of “native” is arbitrary. Here in the San Francisco Bay Area “native” is defined as those plants and animals that were here prior to 1769 which is when Europeans first saw the San Francisco Bay. This arbitrary definition is based on the mistaken assumption that there were few Native Americans and that they had little or no impact on the environment. Your entire site is just brilliant. I agree completely and am so glad others ahare our love for the incredible diverse ecosystem that we have in the Bay Area. I will never understand hating such magnificent trees. Has anyone noticed that other places known for having enormous numbers of introduced plants are not being targeted for native plants only, such as Hawai’i, which is completely associated with introduced species, from mango to papaya to pinapple to plumeria, etc? The abstract, which seems to be the only part of the Dov Sax paper anyone here besides me bothered to read, does not conclude that the eucalypti are non invasive, or good for the native habitat. In fact, the paper reaches the opposite conclusion. The Dov Sax study proves that some native species are adapting to the changes in the woodland, while others are not. It does not prove that eucalyptus coexist without harm to native species. Webmaster: Please read this paragraph from the Sax paper again. Note that the word “native” is not used to describe the species of plants and animals found in the two woodland types. Sax makes no distinction between native and non-native species. Our article is accurately quoting Sax regarding species richness and diversity. Biodiversity is defined by science as a function of two variables: species richness and species abundance. Nativity is not a factor in this measurement. This issue is at the heart of the debate. We care as much about non-native plants and animals as we do about native plants and animals. We are unwilling to eradicate non-native plants and animals based on an assumption that native plants and animals would benefit. That is a choice we leave to nature because we trust the even-hand of nature more than we do the self-serving interests of humans. Also, the article on which you are commenting mentions neither invasiveness nor benefit of “native habitat.” These are not the subjects of this article.